The smallest openings in the exterior of a home can create problems much larger than you might think possible. What many people don’t know is that the siding on your house doesn’t stop wind and rain. Even brick won’t stop these elements. 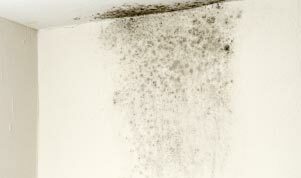 Air leakage through holes, cracks or seams in walls can lead to the growth of mold, uncomfortable drafts and increased energy costs. The way a builder controls the flow of air and moisture in a wall is by installing an air barrier before he installs the exterior siding. The most commonly used air barrier is housewrap. As you’ll see in “Problems with Housewraps” *, this material frequently has many holes, tears and open seams that allow air and moisture to enter. An exterior membrane, such as fully adhered StoGuard, provides air and moisture control that is superior to housewrap. Because StoGuard is rolled or sprayed on, there is no space for moisture to get between the housewrap and water-sensitive sheathing.